Prep Your Shelves for the 12 Most Exciting Books of Summer 2018! Suns out, spines out! We’re ready to hit the beach, the park, the window seats—basically anywhere we can to bask in the summer sunshine and kick back with a great new book! Summer is one of the best seasons for reading because not only do we finally have more time to read, but there are also a bunch of action-packed books that hit shelves! And these are the most exciting titles being published in the summer months. While there are so many amazing ones coming out over the next few months, we have to admit, these twelve caught out eye. Epic new fantasies, stunning series additions, and retellings galore. Who doesn’t day dream about spending endless days with these?! Five years after the destruction of the so-called rehabilitation camps that imprisoned her and countless other Psi kids, seventeen-year-old Suzume “Zu” Kimura has assumed the role of spokesperson for the interim government, fighting for the rights of Psi kids against a growing tide of misinformation and prejudice. But when she is accused of committing a horrifying act, she is forced to go on the run once more in order to stay alive. Determined to clear her name, Zu finds herself in an uncomfortable alliance with Roman and Priyanka, two mysterious Psi who could either help her prove her innocence or betray her before she gets the chance. But as they travel in search of safety and answers, and Zu grows closer to the people she knows she shouldn’t trust, they uncover even darker things roiling beneath the veneer of the country’s recovery. With her future—and the future of all Psi—on the line, Zu must use her powerful voice to fight back against forces that seek to drive the Psi into the shadows and save the friends who were once her protectors. 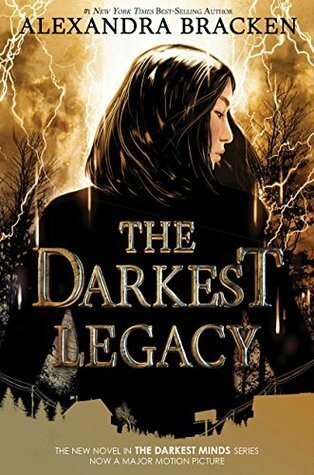 Add The Darkest Legacy to your Goodreads shelf! Learn more about My Plain Jane! 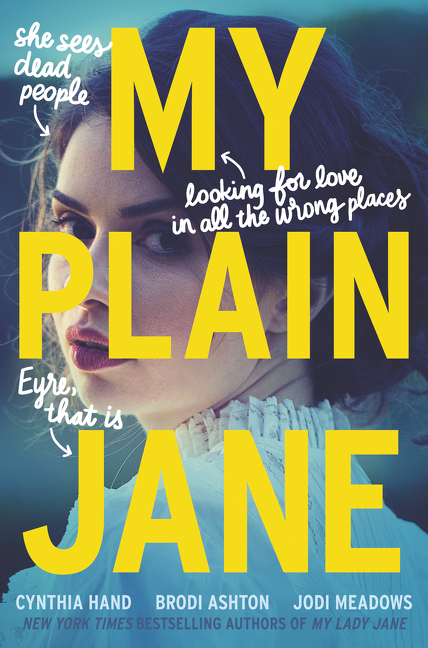 Add My Plain Jane to your Goodreads shelf! Two years after escaping Gotham City’s slums, Selina Kyle returns as the mysterious and wealthy Holly Vanderhees. She quickly discovers that with Batman off on a vital mission, Batwing is left to hold back the tide of notorious criminals. Gotham City is ripe for the taking. Meanwhile, Luke Fox wants to prove he has what it takes to help people in his role as Batwing. He targets a new thief on the prowl who seems cleverer than most. She has teamed up with Poison Ivy and Harley Quinn, and together they are wreaking havoc. This Catwoman may be Batwing’s undoing. 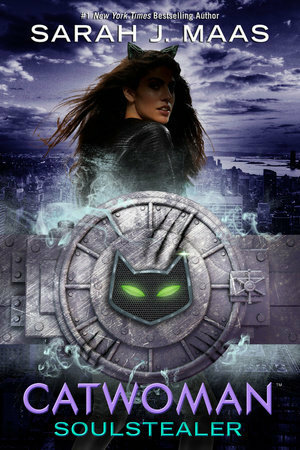 Add Catwoman: Soulstealer to your Goodreads shelf! Haunted by the sacrifices he made in Constantinople, Radu is called back to the new capital. Mehmed is building an empire, becoming the sultan his people need. But Mehmed has a secret: as emperor, he is more powerful than ever… and desperately lonely. Does this mean Radu can finally have more with Mehmed… and would he even want it? Lada’s rule of absolute justice has created a Wallachia free of crime. But Lada won’t rest until everyone knows that her country’s borders are inviolable. Determined to send a message of defiance, she has the bodies of Mehmed’s peace envoy delivered to him, leaving Radu and Mehmed with no choice. If Lada is allowed to continue, only death will prosper. They must go to war against the girl prince. But Mehmed knows that he loves her. He understands her. She must lose to him so he can keep her safe. Radu alone fears that they are underestimating his sister’s indomitable will. Only by destroying everything that came before–including her relationships–can Lada truly build the country she wants. 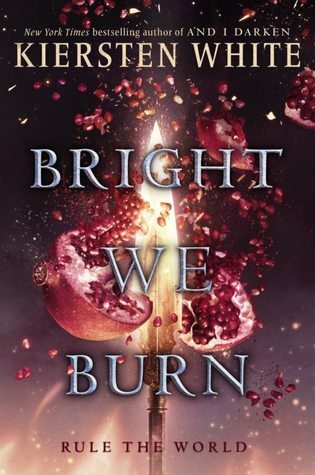 Add Bright We Burn to your Goodreads shelf! Adeluna is a soldier. Five years ago, she helped the magic-rich island of Grace Loray overthrow its oppressor, Agrid, a country ruled by religion. But adjusting to postwar life has not been easy. Devereux is a pirate. As one of the stream raiders who run rampant on Grace Loray, he scavenges the island’s magic plants and sells them on the black market. But after Argrid accuses raiders of an abduction, Vex becomes a target. Benat is a heretic. The crown prince of Argrid, he harbors a secret obsession with Grace Loray’s forbidden magic. When the king tasks him with reversing Argrid’s fear of magic, Ben has to wonder if he can truly change a devout country, or if he’s simply building his own pyre. As conspiracies arise, Lu, Vex, and Ben will have to decide who they really are… and what they are willing to become for peace. Learn more about These Rebel Waves! Add These Rebel Waves to your Goodreads shelf! 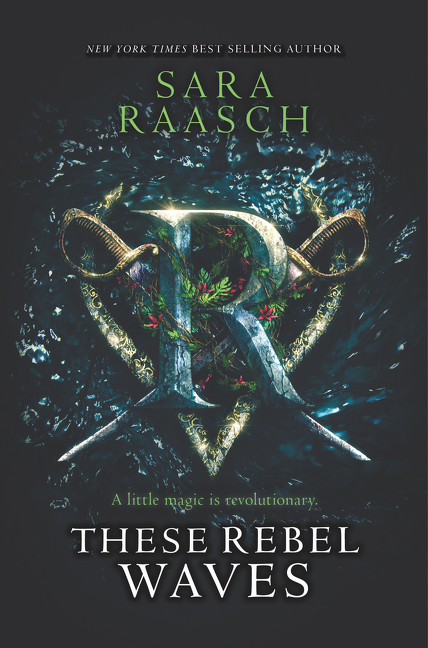 In the ancient river kingdom, where touch is a battlefield and bodies the instruments of war, Mia Rose has pledged her life to hunting Gwyrach: women who can manipulate flesh, bones, breath, and blood. The same women who killed her mother without a single scratch. But when Mia’s father announces an alliance with the royal family, she is forced to trade in her knives and trousers for a sumptuous silk gown. Determined to forge her own path forward, Mia plots a daring escape, but could never predict the greatest betrayal of all: her own body. Mia possesses the very magic she has sworn to destroy. Now, as she untangles the secrets of her past, Mia must learn to trust her heart… even if it kills her. Learn more about Heart of Thorns! 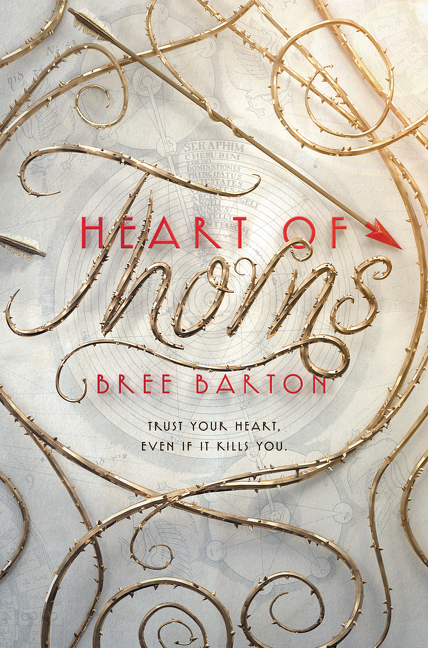 Add Heart of Thorns to your Goodreads shelf! Serina has been groomed her whole life to become a Grace–someone to stand by the heir to the throne as a shining, subjugated example of the perfect woman. But when her headstrong and rebellious younger sister, Nomi, catches the heir’s eye, it’s Serina who takes the fall for the dangerous secret that Nomi has been hiding. 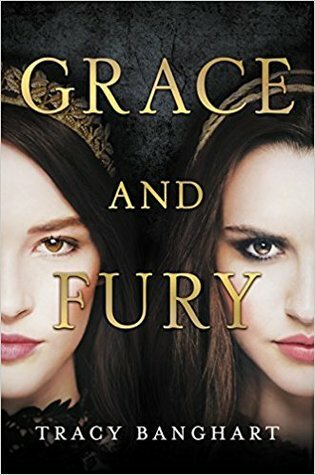 Add Grace and Fury to your Goodreads shelf! After her family is killed by corrupt warlord Aric Athair and his bloodthirsty army of Bullets, Caledonia Styx is left to chart her own course on the dangerous and deadly seas. She captains her ship, the Mors Navis, with a crew of girls and women just like her, whose lives have been turned upside down by Aric and his men. The crew has one misson: stay alive, and take down Aric’s armed and armored fleet. But when Caledonia’s best friend and second-in-command just barely survives an attack thanks to help from a Bullet looking to defect, Caledonia finds herself questioning whether or not to let him join their crew. Is this boy the key to taking down Aric Athair once and for all…or will he threaten everything the women of the Mors Navis have worked for? 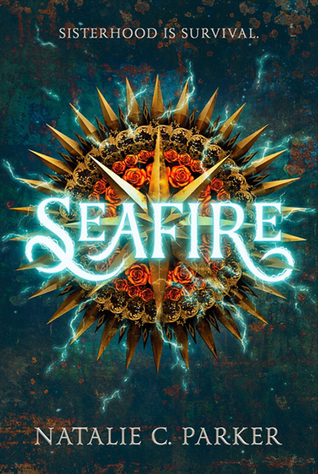 Add Seafire to your Goodreads shelf! The daughter of two astronauts, Romy Silvers is no stranger to life in space. But she never knew how isolating the universe could be until her parents’ tragic deaths left her alone on the Infinity, a spaceship speeding away from Earth. Romy tries to make the best of her lonely situation, but with only brief messages from her therapist on Earth to keep her company, she can’t help but feel like something is missing. It seems like a dream come true when NASA alerts her that another ship, the Eternity, will be joining the Infinity. Learn more about The Loneliest Girl In the Universe! 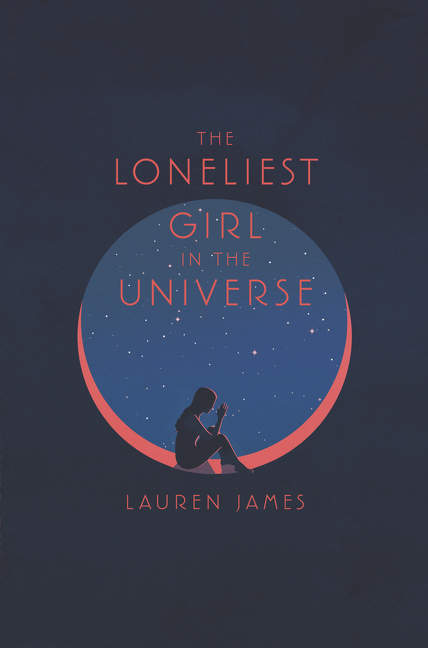 Add The Loneliest Girl In the Universe to your Goodreads shelf! As Opal, Sal finally has the power, prestige, and most importantly the ability to hunt the lords who killed their family. But Sal has to figure out who the culprits are before putting them down. Which means trying to ignore the fact that Elise is being kept a virtual prisoner, and that the queen may have ulterior motives. And the tales coming out of north are baffling. Talk of dark spirits, missing children, and magic abound. As Sal heads north toward their ruined homeland and the lords who destroyed everything, they learn secrets and truths that can’t be ignored. 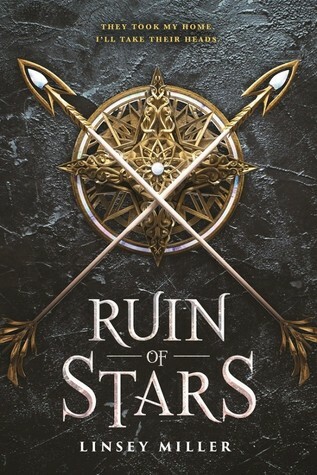 Add Ruin of Stars to your Goodreads shelf! Ever since her best friend Anna died, Evie has been an outcast in her small fishing town. Hiding her talents, mourning her loss, drowning in her guilt. Then a girl with an uncanny resemblance to Anna appears on the shore, and the two girls catch the eyes of two charming princes. Suddenly Evie feels like she might finally have a chance at her own happily ever after. But magic isn’t kind, and her new friend harbors secrets of her own. She can’t stay in Havnestad—or on two legs—without Evie’s help. And when Evie reaches deep into the power of her magic to save her friend’s humanity—and her prince’s heart—she discovers, too late, what she’s bargained away. Learn more about Sea Witch! 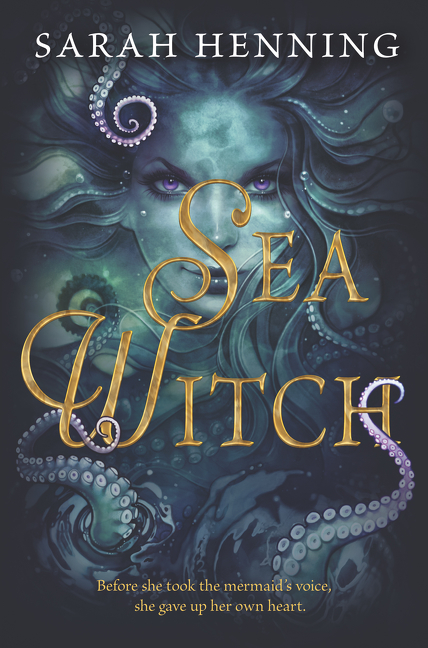 Add Sea Witch to your Goodreads shelf! As Amani is forced into her new role, she can’t help but enjoy the palace’s beauty—and her time with the princess’ fiancé, Idris. But the glitter of the royal court belies a world of violence and fear. If Amani ever wishes to see her family again, she must play the princess to perfection… because one wrong move could lead to her death. 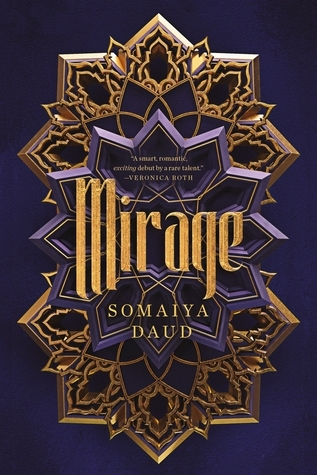 Add Mirage to your Goodreads shelf! 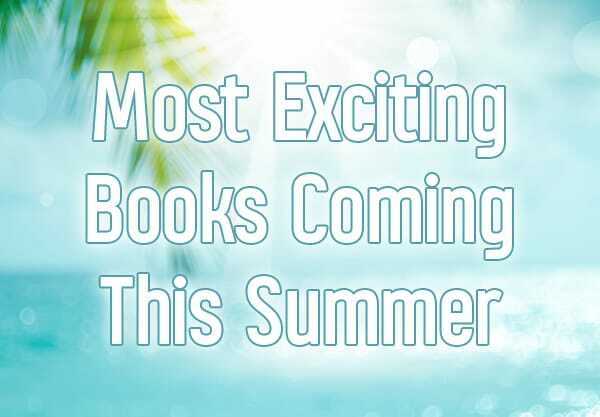 What books are you most excited for this summer?! Let us know in the comments! 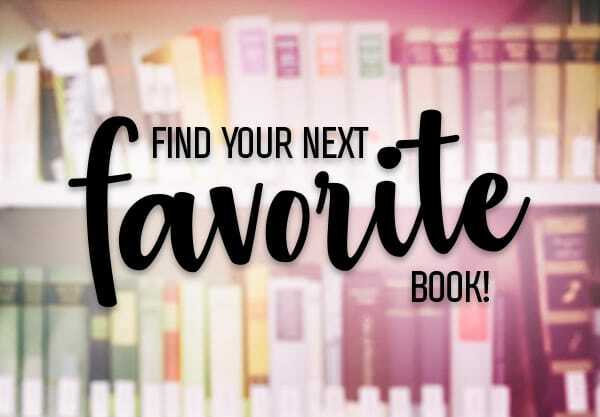 Find Your Next Favorite Book and Start Reading With This Excerpt Roundup!